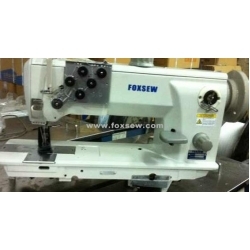 FOXSEW Double Needle Durkopp Adler Type Heavy Duty Lockstitch Sewing Machine. 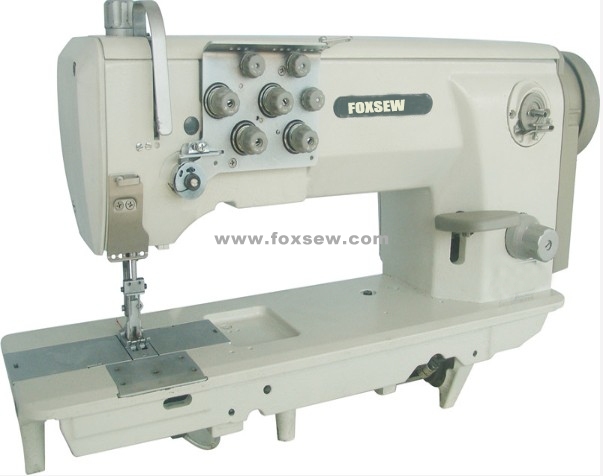 Features: This series is the latest product of FOXSEW brand heavy duty material lockstitch sewing machines. 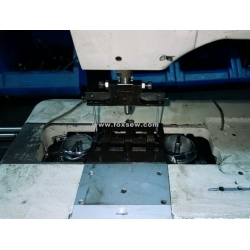 It is designed with the large vertical rotary hook, synchronous toothed belt drive. The needle bar, feed dog and presser foot synchronous feeding. 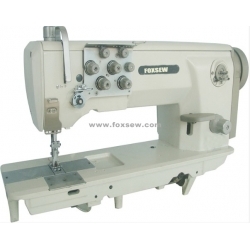 It can sew the nice stitching between the medium material and thick material . The machine in the comprehensive performance of transmission light smooth, low noise, high durability, and equipped with protection hook overloaded on-off device. It is ensure that the joint products and the safety of the hook. Bobbin winder ensure the clamping thread, it can quickly start winding. 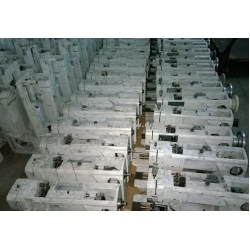 Head cover and side cover can be open, convenient adjustment and maintenance of machine. This model also increase the operating space between 338 mm - 120 mm, increase the needle distance to 12 mm, needle gague3.2-50.8mm. Especially suitable for sewing the car cushion, seats, sofa, furniture, home upholstery, seat belts, air bags and automotive trim the assembly, Summer slepping mats, also can be used in sewing tents, parachute and other large appliance sewing. Standard: 6.4MM Special: 3.2.4.76.9.5.12.7MM, Maximum: 200mm, Customized available.